Craig Hardgrove was fascinated with dinosaurs. When he found out they were killed off by an asteroid, he became fascinated with space. 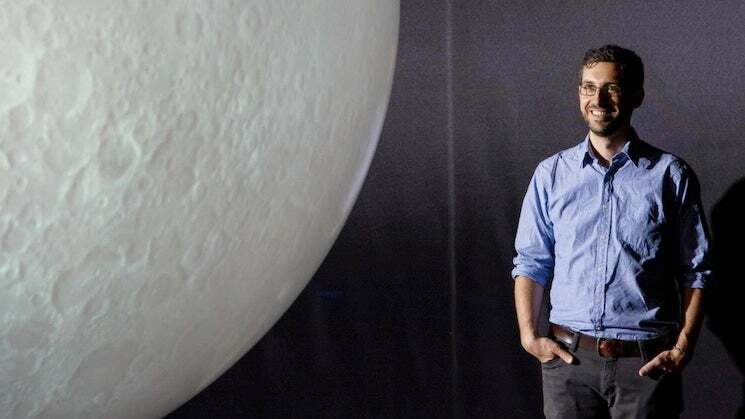 Now he’s head of a NASA satellite project to explore water-ice deposits on Moon. “If you’re interested in something, you never really know where it’s going to lead you,” Craig says. It has been six years since deposits of water were found on the Moon. Now the question isn’t “Is there,” but “How much” and “Where.” The LunaH-Map orbiter will train two neutron spectrometers on the Moon’s south pole region to confirm and map water deposits in the always-dark craters there. The results will become part of NASA’s strategy for sending humans farther into the solar system. Triceratops exceeded the largest rhinoceroses in bulk, equalling a fairly large elephant, but with much shorter legs.